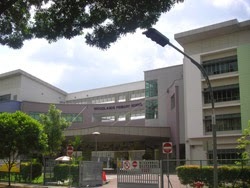 Woodlands Primary School is located at 10, Woodlands Drive 50 in Singapore 739953. It is enclosed within the Woodlands Region. Woodlands, also called Woodlands New Town, is a sub-urban estate that is situated at the northern section of Singapore. It is surrounded by trees and landscaped lands thus rendering a countryside lifestyle. Nearest MRT is Woodlands MRT and the closest bus interchange is Woodlands regional Bus Interchange. Amenities in the area include Woodlands Civic Center, Causeway Point and Vista Point. Some of the schools close by are Riverside Secondary School, Evergreen Secondary School and Qihua Primary School.